Short Sleeve Tea Length Cocktail Dress | Sung Boutique L.A. 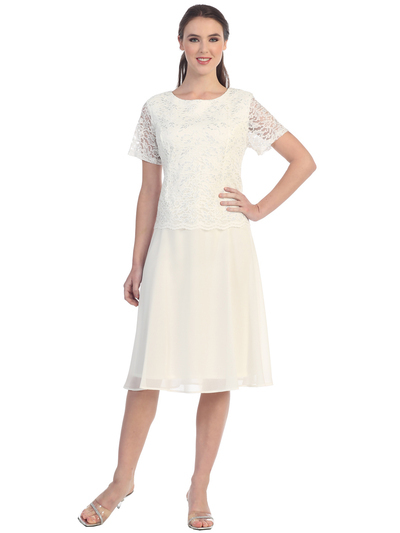 Simple lace overlay short sleeve bodice atop an A-line style tea length dress. -Approx. 43 inches from shoulder to hem.